In what was hopefully going to be my second game of the new year, it was only my first last night. Since my Sunday game got canceled, I was looking foward to facing some shots. Instead, my team turned in a dominating performance and we had a 8-0 lead before the other team put 2 past me. We won 8-2, but I didn’t get much of a workout like I wanted. Which is unfortunate because the big game is tonight. With 3 games left to go, Rick’s Shock and Awful team needs wins. They are 2 points behind the final playoff spot. However, their margin for error is thin. If they win out, they should make playoffs. If they lose one game, their destiny won’t be in their hands. With me in net for the rest of the season, this game has great importance for this team to make playoffs. The sense of urgency that should be burning inside me really isn’t there yet. It depends on what my team does. If my team doesn’t show up tonight, I won’t lose any sleep if we lose. If my team plays hard and the fault rests on my shoulders, then I will feel regret. I just want to play a solid game and let the chips fall where they may. 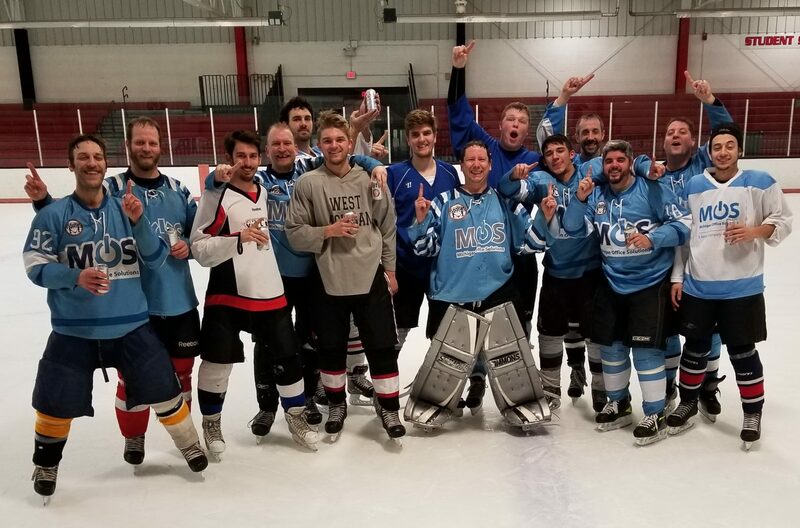 Last night, Maly’s clinched a playoff birth. Marketlab is in the playoffs as well on Thursday night. That gives me 2 teams already that I will be competiting for a championship with. This Shock and Awful team would be the icing on the cake, but only if my team desires it enough to make it.